Denver's Olympics Exploratory Committee is wrestling with a couple of expensive questions. 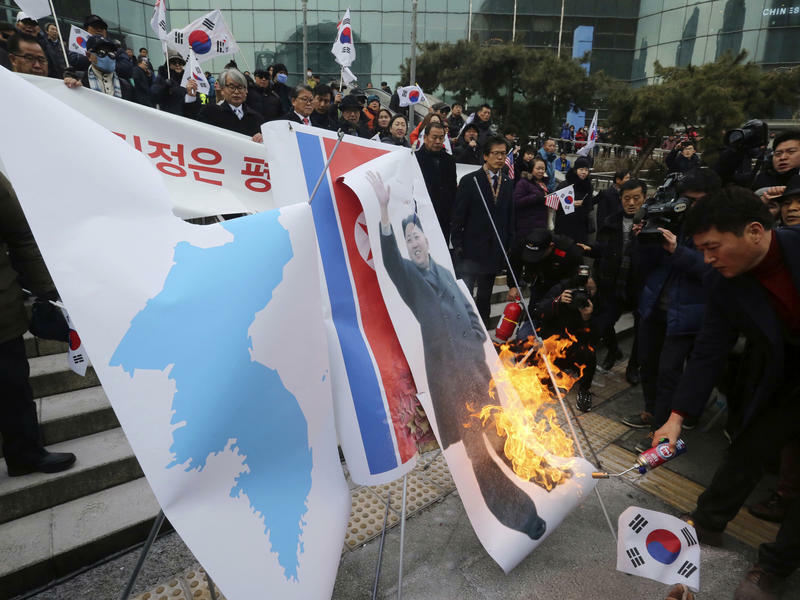 "There's five different subcommittees working to put information together and answering, really, two questions: Not only could we host a Winter Olympic games in the future, but should we?" said Ramonna Robinson, a spokeswoman for the exploratory committee. "Is it the right thing for Colorado?" If the answer to those questions is yes, then comes the next one: How can they raise the $2 billion necessary to host the games without pinching taxpayers? The recommendation, which could come by the end of May, is being made even though there's currently not an Olympics for the city to bid upon. National Olympic organizers were considering the 2026 Winter Games for the United States just months ago, leading Denver Mayor Michael Hancock, with the support of Gov. John Hickenlooper, to form the exploratory committee. Since then, 2026 appears to have been ruled out, meaning the next potential window for U.S. games are 2030 -- or even 2034. Should Colorado host a winter Olympics? As KUNC's Michael de Yoanna reports, a committee created by the mayor of Denver is weighing that very question right now. Despite that, Denver's exploratory committee is forging ahead. "We need to be ready, so that's where the committee is now," Robinson said. This isn't the first time Denver has considered the Olympics. The city was awarded the 1976 games, but they never happened. Voters rejected them. To some, the rumblings of discontent now sound very familiar. As for raising the $2 billion, up to $950 million -- almost half -- could come from the International Olympic Committee. The rest could come from private interests. "We're looking at privately financing through ticket sales, sponsorships, merchandising, things like that," Robinson said. But skeptics, like Christine O'Connor, a community activist in Denver, sees that as a sales pitch. "The idea that it can be raised privately is questionable, but that is how they're selling it," O'Connor said. Some IOC contract obligations, she added, could require taxpayers to guarantee the games if problems or cancelations arise, such as not enough snow or terrorism. "They make a ton of money on the games and they don't want to risk that profit by having to cover cost overruns or by having to cover risk associated with, heaven forbid, terrorism or some other event that postpones the games," O'Connor said. "There's a lot of risk involved." O'Connor participated in the exploratory committee's community outreach, Sharing the Gold. Her experience in that process led her to work with NOlympics.co, a movement that seeks to give voters the last say on whether Denver should host an Olympics. A Colorado contingent prepares for a flight to Mexico City in 1968 to pitch Denver as the host of 1976 Olympic Games. The oppositional rumblings are reminiscent of more than four decades ago when Denver became the only chosen host city to reject an Olympics. Opponents of the 1976 Olympics ultimately went to voters, including Richard Lamm, Colorado's governor from 1975-87. One of the big milestones on Lamm's political journey was his part in leading opposition to those games. Lamm, now retired and living in Denver, said he's not an Olympics-hater. "I do enjoy the Olympics," said Lamm, who noted there were more Team USA athletes from Colorado than any other state in this year's Winter Games. "I do, and I was proud of the Colorado athletes." "There's positives and negatives, but it's just hard to see an Olympics that hasn't had a horrific overrun, a cost overrun," Lamm added. Colorado voters shot down Winter Olympic Games in '76. They went to Innsbruck, Austria instead, which had hosted games before and thus avoided costs. The Summer Games went to Montreal, Canada, where they were expected to cost $124 million. But cost overruns and construction delays busted the budget and the city's taxpayers ended up $1.5 billion in debt - a debt that wasn't paid off until 2006, according to the Council on Foreign Relations, a New York-based nonpartisan think tank that in January analyzed the cost of games to host cities. In the post-9/11 world, security is costly, with a price tag of $1 to $2 billion, according to the council. Costs for events facilities, housing, transportation can all get financially out of control. That is what happened at the Winter Games in South Korea that took place earlier this year. They cost PyeongChang $13 billion, up from the original $7-billion projection. Not all cities lose money: Los Angeles, which hosted the 1984 Summer Olympics, was able to negotiate with the IOC to use existing stadiums and other infrastructure, avoiding construction and other costs. That left L.A. with an operating surplus of $215 million, according to the council. But L.A. is an exception: Other cities, including Beijing, Sochi and Rio, all were left on the hook for billions of dollars more than budgeted. Those in charge of the making the recommendation are a who's who of Colorado. 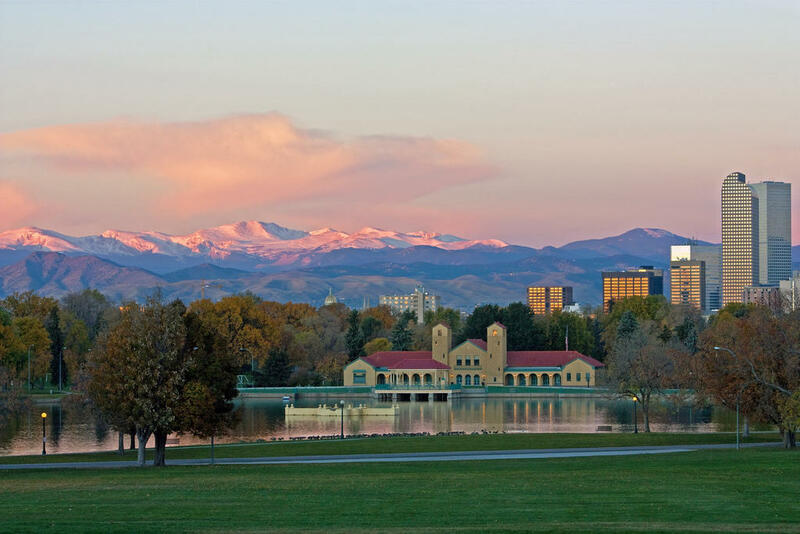 The chairman of the Denver Olympic Exploratory Committee is Robert Cohen, the president of the IMA Financial Group. He was unavailable for this story. The 37 working members of the committee are well-established in business, government, community and sports. Lamm is impressed by the committee's makeup. "These are good people with a proven record of civic improvement," Lamm said. Former Denver Broncos quarterback Peyton Manning is on the list with longtime Olympics booster Bill Hybl of the El Pomar Foundation in Colorado Springs; Stephen McConahey, the chairman of SGM Capital; former Denver Nuggets basketball player Chauncey Billups; Kelly Brough, the president and CEO of the Denver Metro Chamber of Commerce; former Denver Mayor Wellington Webb and several local government and community representatives. The exploratory committee has set an aggressive, comprehensive agenda for itself, spokeswoman Robinson said, including "what the logistics look like, game operations, legal, financial." As part of the process, the exploratory committee also reached out to mountain towns to gather opinions, she said. "We had community meetings in Vail, Breckenridge, Frisco, Georgetown, Winter Park and Steamboat Springs," Robinson said. "Really, the conversations have been kinda up and down that mountain corridor along I-70 that you see a lot of winter sport championships taking place in already." With those meetings done, the exploratory committee's meetings have been closed to the public, raising concerns from watchdogs about transparency. "There are, as you can imagine, just the things that we talked about that are involved in a budget, and a potential bid," Robinson said. "Most everything that's talked about at the exploratory committee level could be proprietary information that could compromise other folks knowing about it if we do get to a bid process." Some say the committee's dealings are too secretive. Jeff Roberts with the Colorado Freedom of Information Council, a government watchdog, said the exploratory committee appears to be violating Colorado's Sunshine Law. The law requires that boards that advise government hold meetings publicly and since the exploratory committee is preparing a recommendation for the mayor it should fall under the law. "There is that Sunshine Law and it does seem to say that an advisory board or a body that's given a decision making function by someone in government, like the mayor, should open the process to the public and maybe follow the process that's in the law," he said. Robinson added that the committee's activities are being overseen by the Denver Sports Commission, which is a nonprofit affiliated with another nonprofit, Visit Denver, which boosts tourism for the area. 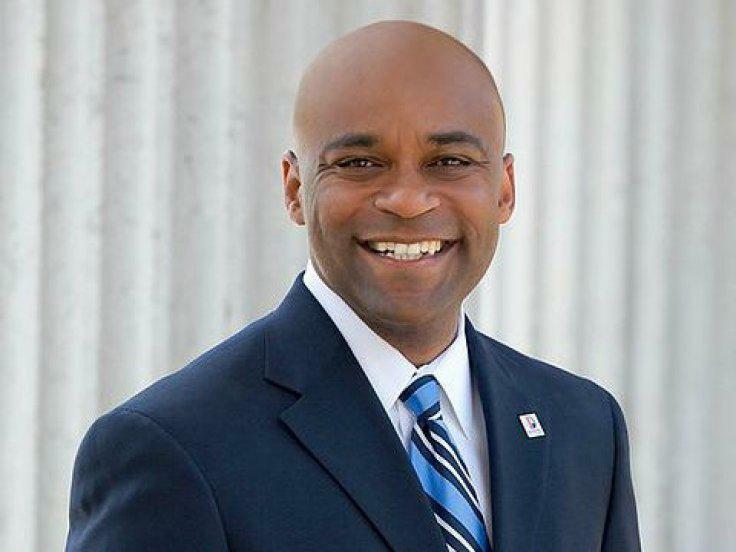 "The exploratory committee is an independent body," Robinson said. "It's not a government entity." Asked if Denver taxpayers are paying for the exploratory committee's work, Robinson said, "No." "Denver is not paying anything towards this effort," she said. "Every member of the exploratory committee is a volunteer. And then, I think, there's five or six consultants that were brought in to help with the community engagement process and the communications process and Visit Denver/Denver Sports Commission is providing funding for that." The recommendation of the executive committee could come "within the next month," Robinson said. When it does, the committee will present its findings to the mayor and governor first, and then they'll become public, she said. But activists like O'Connor aren't waiting for the exploratory committee to issue its final verdict. NOlympics is already working on a ballot question for Denver in November that would ask voters if they want to retain the right to give a thumbs up or down on any future Winter Olympics no matter what the exploratory committee recommends. The backlash in Colorado against the 1976 Olympics comes up a lot, but Robinson said a lot has changed since then. The city's population has increased by threefold. It has more than double the number of hotel rooms - and nearly five times as many through the metro area. And the IOC is aware of the impact of the games. It's Agenda 2020, seeks to minimize the financial and other impacts to host cities. Today, Lamm, who is content to let others take the lead questioning what the games can do for Colorado, notes the state is in many ways the same. It was fast-growing then and it is fast-growing now: It's ninth in terms of percentage of population gain, according to the Census Bureau. Back in the 1970s, Lamm and other Olympics opponents faced a powerful push to bring the games. A slick Denver Chamber of Commerce promotional video captures that, bragging on Colorado's magic and allure. Denver, the narrator said, is ready to host the 1976 games and "wants to share its mountains, its competitive experience, and its facilities with all the world." "There was a number of people in Colorado who almost considered me a traitor to the state because this was a big state effort and, 'Why shouldn't we want to show Colorado off?'" Lamm said. In the end, voters amended the state constitution to ban the "levying taxes and appropriating or loaning funds for the purpose of aiding or furthering the 1976 Winter Olympic Games," effectively killing the Colorado games. "This was an issue that caught, I think, the establishment here in Colorado completely by surprise," Lamm said. "There was a groundswell of opposition to the Olympics, saying, 'We can hardly handle the growth we have.' Colorado was the second or third fastest growing state at the time and people were saying, 'Why take this financial risk to add to growth that we can hardly manage as is?'" 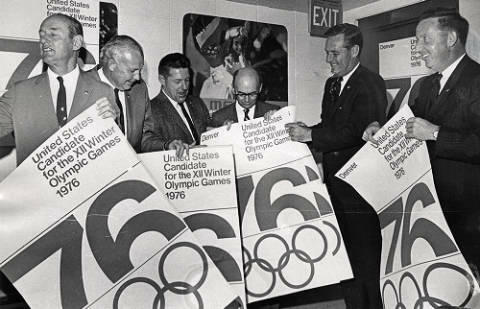 Editor's Note: Colorado voters declined the Winter Olympic Games in 1976. Those went to Innsbruck, Austria. Summer Games were held in Montreal, Canada. When Team USA marches in Friday’s opening ceremony for the 2018 Winter Olympic Games in Pyeongchang, South Korea, 31 of the athletes representing the stars and stripes will call Colorado home. It’s the most of any state. 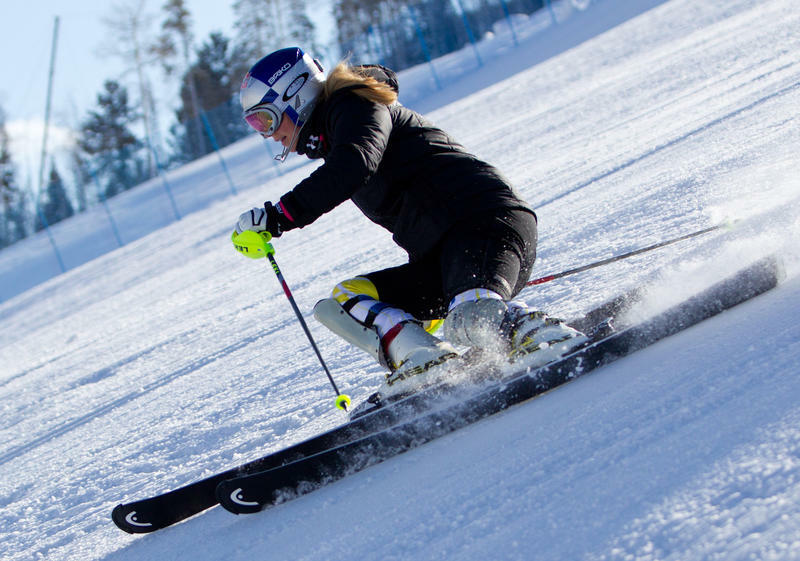 The roster has some well known names, like 22-year-old Mikaela Shiffrin, the Eagle-Vail skier who became the youngest ever to win an Olympic gold medal in slalom at the 2014 Sochi games. The International Olympic Committee decided Tuesday that Paris and Los Angeles can work out a deal to be awarded the 2024 and 2028 Summer Games. The committee's members voted unanimously that it can award both Olympics at its next meeting in September and that a three-way deal can be brokered among the two cities and the IOC. 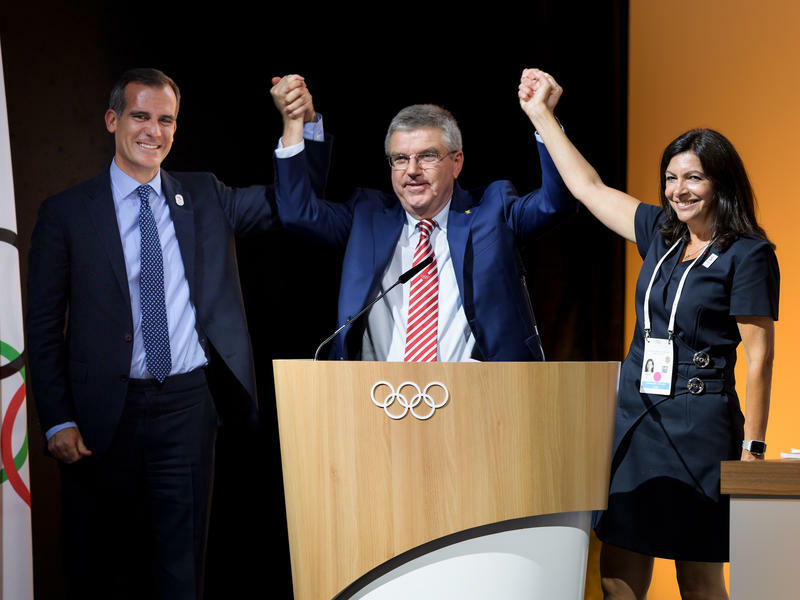 LA Mayor Eric Garcetti and Paris Mayor Anne Hidalgo joined IOC President Thomas Bach on stage in Lausanne, Switzerland. Bach raised their hands in the air in a pose of shared victory.